Stickers. What is it about them that makes me still a little giddy all of these years later? Tell me I’m not the only one who had a love affair with stickers in the 80’s…Hello Kitty. She had my big fat puffy sticker heart! Little Twin Stars came in a close second. What did we even do with all of these stickers? I know I kept mine, sheets of them, in my Hello Kitty pencil holder. It was puffy too, with a little magnet that held it shut or I sometimes put them on the cover of my Trapper Keeper. Now if they were super-duper special they went into the “sticker book” where I would proudly display them at lunch. We would eat our PB & J sandwiches and compare and admire our sticker collections. My taste in stickers might have changed, but not my love for them! They are just so much fun and so easy to work with. Besides, if you have ever seen my handwriting you would know why I like to revert to stickers when it comes to typography projects…. For example this pumpkin project. You would not want to see how it would have looked if I had actually WROTE the words out! 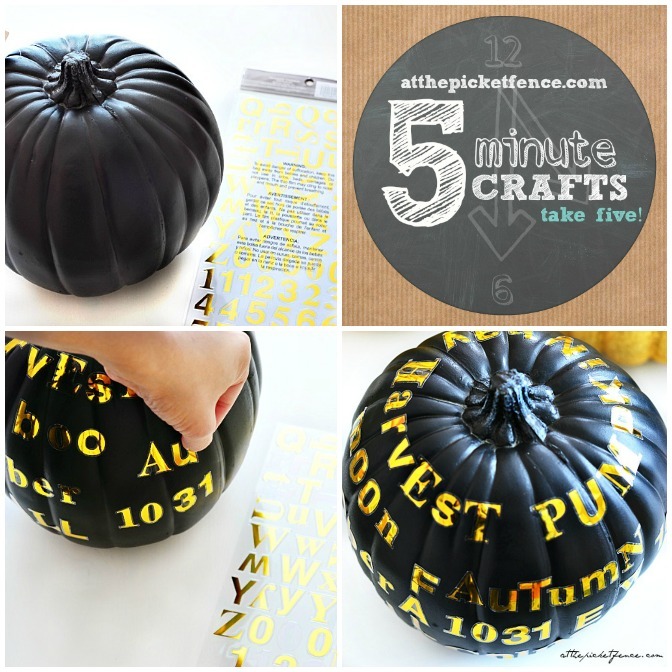 Every Friday we are sharing a fun and easy 5 minute craft with you, as part of our Take Five: Five Minute Crafts series, like decorating pumpkins with stickers! Seriously easy! 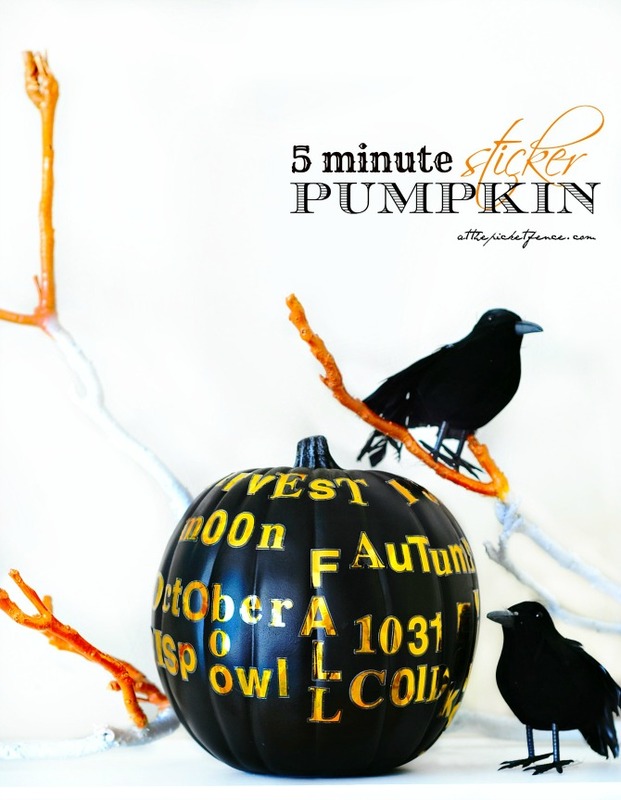 This project is so easy in fact, that there’s not much more to do than show you pretty up close pictures of the finished pumpkin! 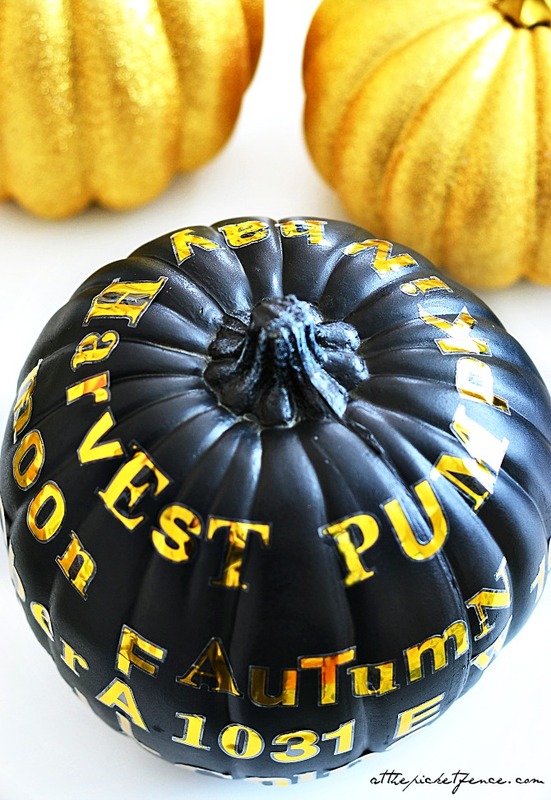 As you might have noticed, I’m seriously crushing on gold these days BUT these could be just as pretty with white pumpkins and black letters! 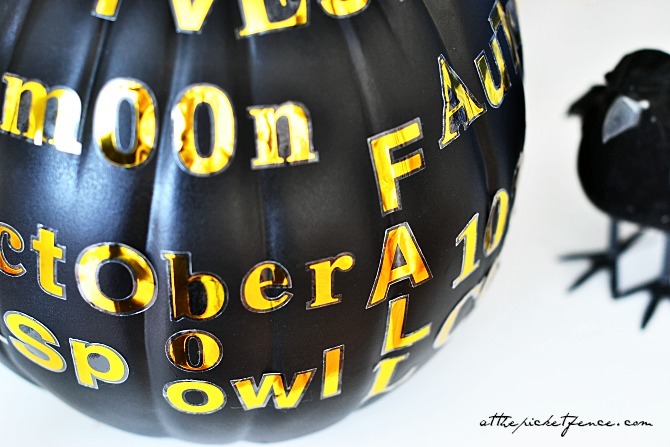 Choose your favorite fall words and some fall dates, like Halloween, and start decorating! It’s the perfect non-messy, sit in front of the TV craft. Now there’s no excuse to craft! 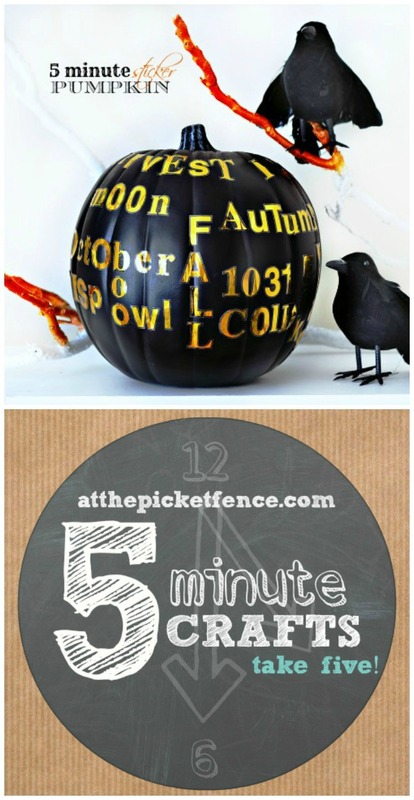 No painting, no glue, no cutting and no mess…just a pumpkin, stickers…. and five minutes! 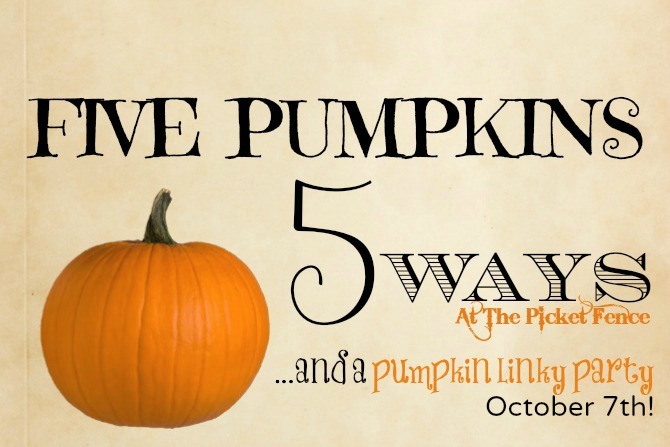 Have you been following our Five Pumpkins 5 Ways all week? We’ve had so much fun sharing some unique pumpkin decorating ideas with you! Here’s what we’ve shared so far! 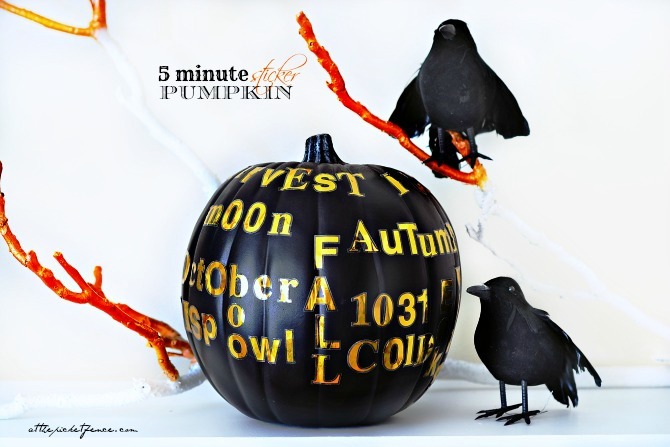 Vanessa created a unique and fun Pumpkin Clock, Heather created glamorous White and Gold Decoupage Pumpkins and yesterday Vanessa and her daughter made a child friendly Feathered Owl Pumpkin! Stay tuned on Saturday where we’ll be having a “guest post pumpkin” and on Monday we want to see YOUR pumpkins at our Pumpkin Linky Party! 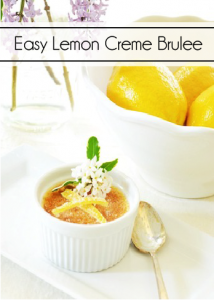 See you back here tomorrow…at the picket fence! 7 Comments on "Five Minute Crafts: Decorating Pumpkins with Stickers"
oh my goodness, I love this! 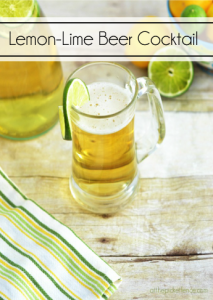 So cute and a 5-minute craft is right up my alley. hey you little pumpkin queen! 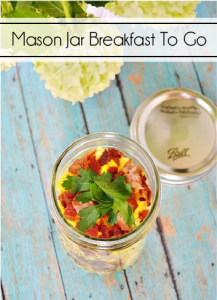 love that idea with the stickers and of course with gold! Great idea, so simple…so why didn’t I think of it?! What a super cute and super cool idea!